In the near future, war has torn the United States apart. Small communities barely scrape by amidst climate change and economic collapse. Powerful nation-states struggle over whatever resources remain - technology in California, money in Chicago, oil in Texas. Some small hope has arrived in the form of the Hocq, a group of aliens on a mission to bring their advanced knowledge to Earth. But as hostile governments across the globe vie for that knowledge, a Hocq named Harrek defects into outlaw territory. Diplomacy seems to have failed, and he can’t allow the wrong nation to gain such a huge advantage over the others. Now it’s up to Lisa Marquez, the human who helped Harrek escape, and Jeremy Clayton, a poor outland farmer, to keep the alien safe from the military and outlaws. The clock is counting down, and Harrek needs to get the Genesis File into the right hands before he gets found by the humans... or the other Hocq. 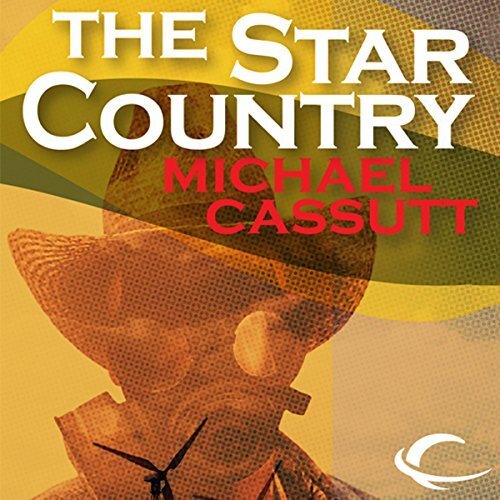 In Michael Cassutt's first novel, the author takes standard SF story situations - post-holocaust tribal human struggles, first alien contact - blends them together and and brings his own uniquely original spin to a tried-and-true setting. ©1986 Michael Cassutt (P)2012 Audible, Inc.